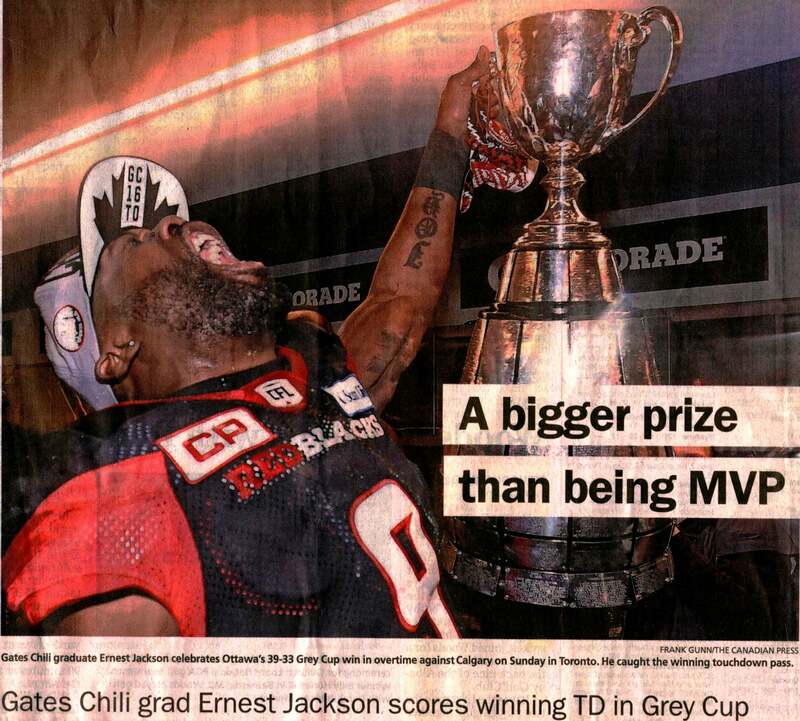 As reported in the Democrat and Chronicle, last Sunday, Gates-Chili High School graduate Ernest Jackson caught the winning touchdown in the Canadian Football Leagues’ Grey Cup. Jackson — who was also runner up in the season MVP voting — joins the list of former Section V players who made a mark north of the border. 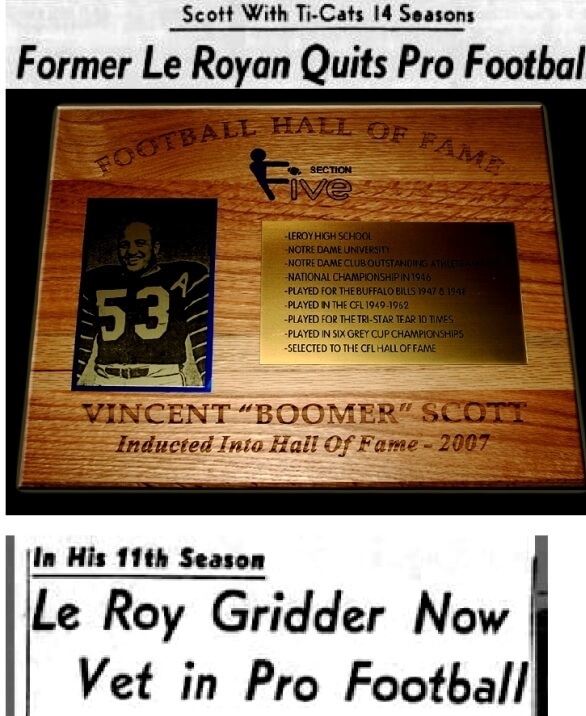 The most successful Section 5 player in the CFL was Le Roy’s Vincent “Boomer” Scott whose teams won Grey Cups in ’53 and ’57, and enshrined in the Canadian Hall of Fame in 1982. Section V Hall of Famer, McQuaid’s Eugene Goodlow did well in both the CFL and the NFL. Section V Hall of Famer, Newark’s Tom Burgess was a starting CFL quarterback for many seasons. Nicknamed the Sledgehammer, Penfield’s Pete Catan had success in Canada. Catan is considered a prominent Serbian-American athlete. 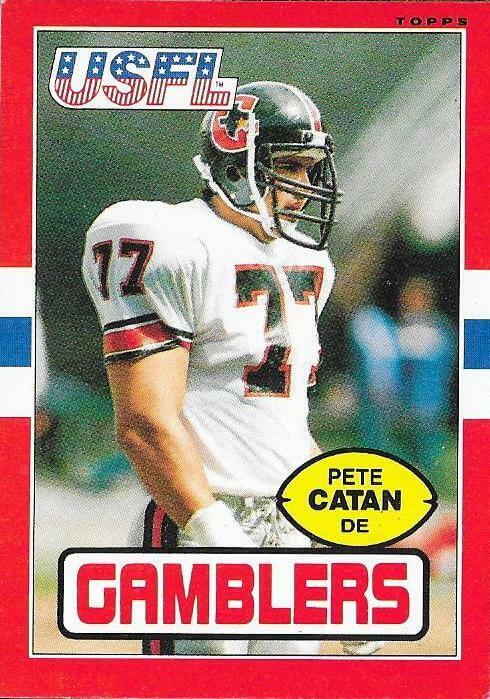 In 1984 and 1985, Catan would play in the United States Football League with the Houston Gamblers. Jackson’s recent heroics aside, the Canadian Football League has a very limited presence in the Rochester sports consciousness, past and present. A journey through the D & C digital archives finds few full length articles on the league or its players, indicating a pretty low level of local interest in the Canadian game. 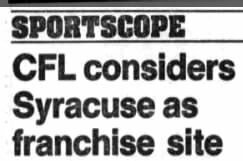 In a 2009 D & C column, Bob Matthews states the obvious reasons for the limited interest and the unlikelihood that a CFL team could ever succeed in Rochester (Rochester was considered for a CFL franchise in the early 90s): the NFL and the Buffalo Bills. Obviously, Rochester fans go the Buffalo to watch the Bills and Sabres, and some will travel to Toronto to see the Blue Jays or Raptors. But a junket to Toronto’s Rogers Center to see minor league, foreign football — the Argonauts — is rare indeed. Given western New York’s proximity to Canada, in the 1940s and 50s there was more interest in the Canadian League. The NFL was still in its early stages and the CFL was able to attract quality players. Some speculate that in the late 1950s and the early 1960s Winnipeg Blue Bombers and Hamilton Tiger Cats could have been champions had they played in the NFL. Up until 1961, the two leagues played exhibition games, using mixtures of the differing rules. Hall of Famer Vincent Scott played in the CFL in the 40s and 50s. Ultimately, the formation of the Bills and American Football League in 1960 — and then the merger in 1970 — doomed the CFL to a minor league status. 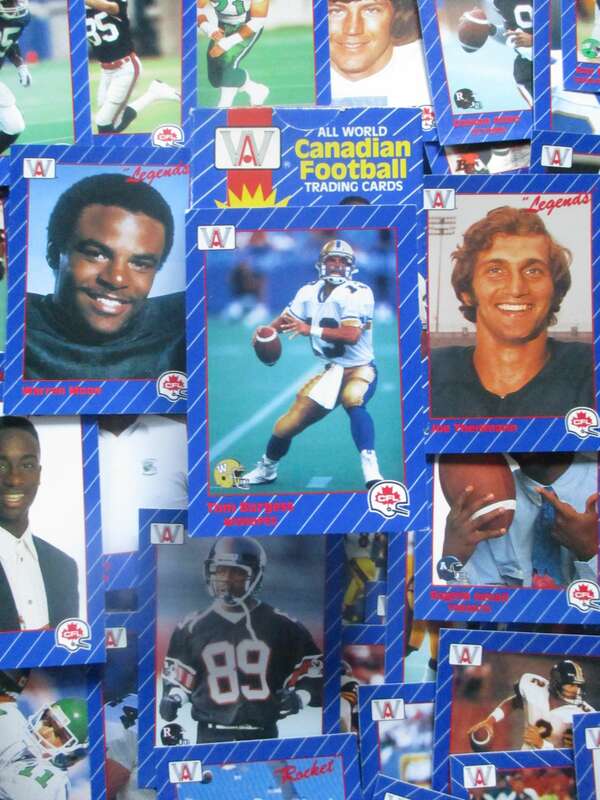 As described by the AFL Internet Network, many top CFL payers switched to the AFL which offered bigger markets and higher salaries, including Cookie Gillchrist, Wray Carlton and Ernie Warlick who joined Buffalo. After 1960, at least according to the D & C archives, local interest in the CFL dropped precipitously. 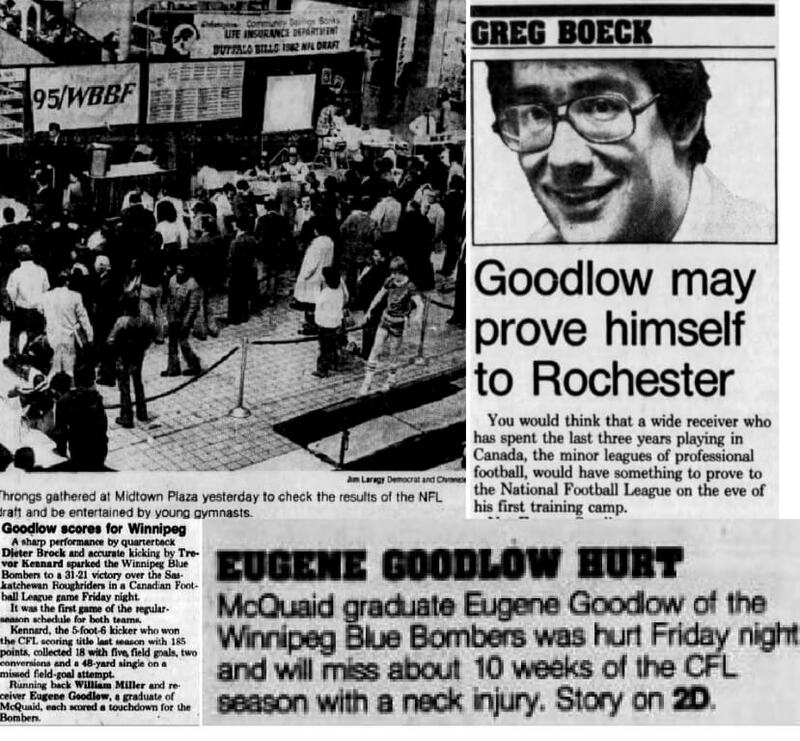 Eugene Goodlow’s CFL career in the early 80s drew attention. After McQuaid, Goodlow played for two seasons at Kansas. After a coaching change, Goodlow decided to turn pro, but at the time was ineligible for the NFL draft. Instead, Goodlow starred for three seasons in the CFL. In 1982, Goodlow was drafted by the New Orleans Saints. Back in those days, fans gathered at Midtown Plaza to follow the results of the NFL draft. 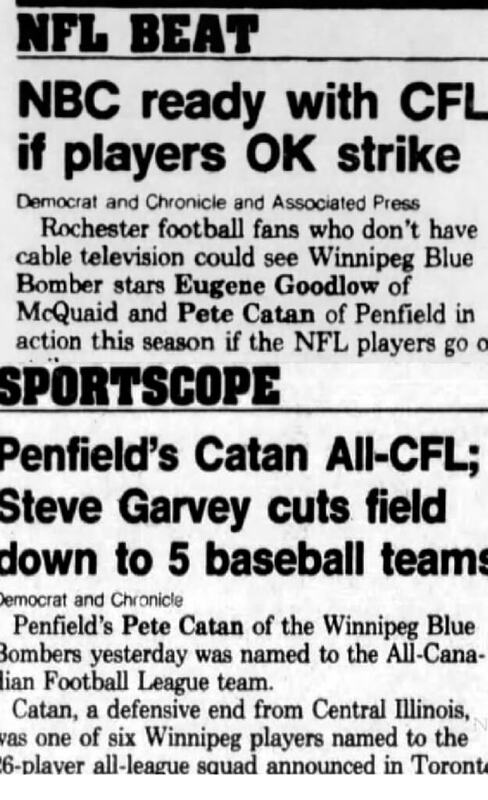 In the early 80’s, Penfield’s Catan — that noted prominent Serbian-American athlete — starred in Winnipeg. 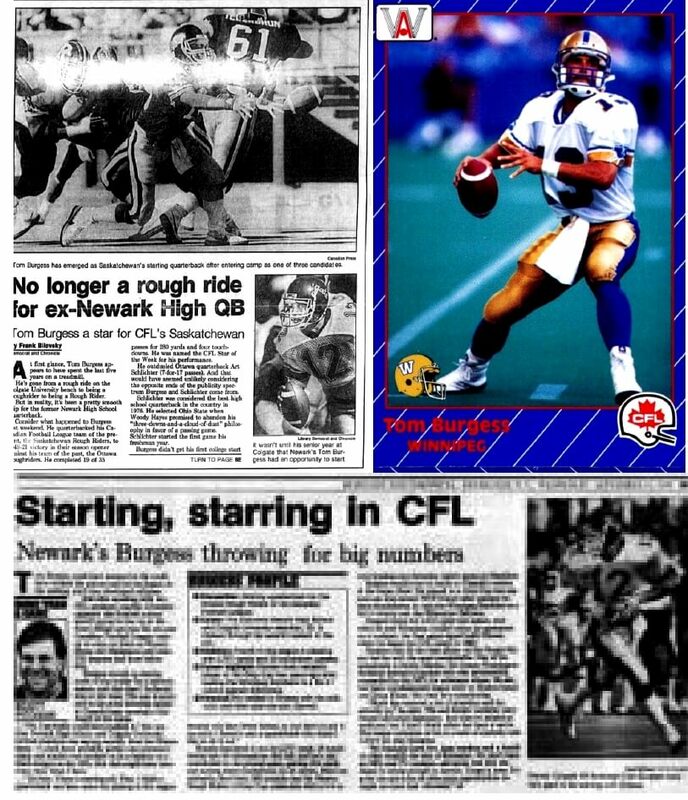 There was also coverage of Tom Burgess’s CFL career in the late 80 and early 90s. Burgess had starred at Newark High and then Colgate University. While Burgess did not make the Canadian Hall of Fame, he had a solid career, including named the 1989 Grey Cup Most Valuable Player on Offense. The only real possibility for the CFL to capture Rochester’s football imagination would be our own franchise. From 1993 – 1995, the CFL expanded into U.S. markets. As Bob Mathews wrote in a few columns (one in response to a loyal fan of the Hamilton Tiger-Cats), Rochester was considered as a site, but the proposed downtown stadium (now Frontier Field) was too small for CFL standards. Having the Carrier Dome, Syracuse was probably a better New York State option. But the CFL expansion in the United States failed. 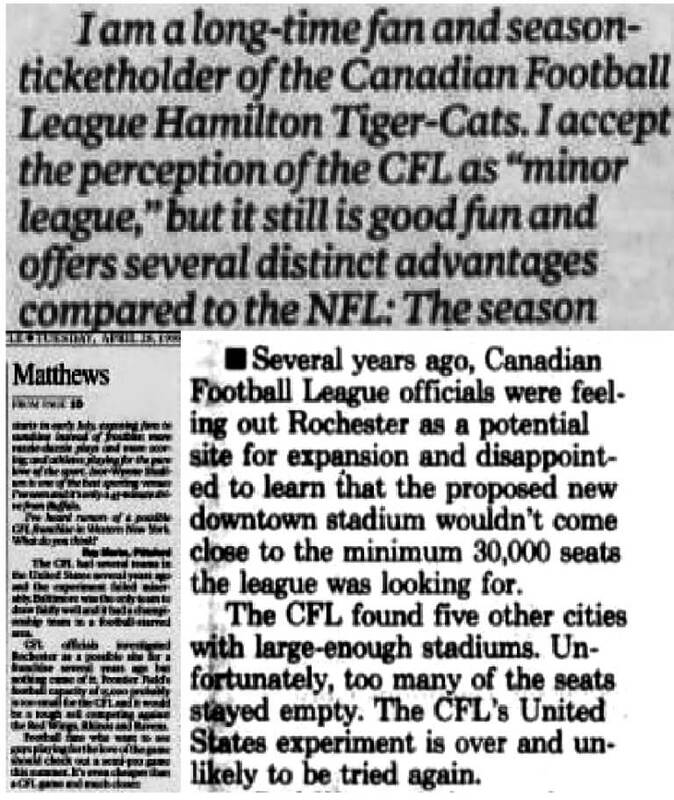 As described in Bob Matthews 2009 column (above), there was some renewed talk about CFL expansion, including Rochester as a site. Matthews thought the idea was “so ridiculous it is barely worth a mention.” I agree with Matthews’ conclusion that a CFL team would find itself in mid-sized market already saturated with minor league teams. The CFL did make the news when Doug Flutie left the Toronto Argonauts to play for the Bills. The CFL always makes the news when the NFL is considering moving a team or expanding to Toronto or when the Bills are considering playing more games in Toronto. The August 13th, 1995 article “Toronto rolls out the red carpet in quest for NFL” describes how most Canadian fans excitedly embraced the Bills – Cowboys exhibition game played in Toronto, the “American Bowl.” The article also pointed to another Bills-CFL connection; then-coach Marv Levy had coached the Montreal Alouettes from 1973 – 1977. 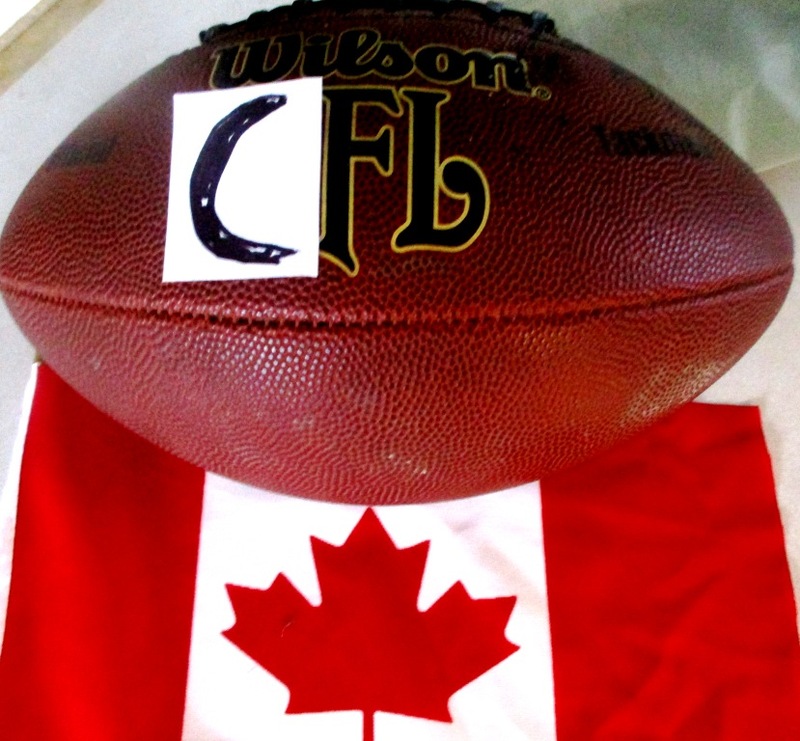 At the same time, some CFL Toronto Argonauts fans protested the American Bowl. Diehard CFL fans rightfully fear NFL expansion into Toronto, the CFL’s largest market. A full time NFL team would probably doom the Argos, making it that much harder for the CFL to attract top flight talent. 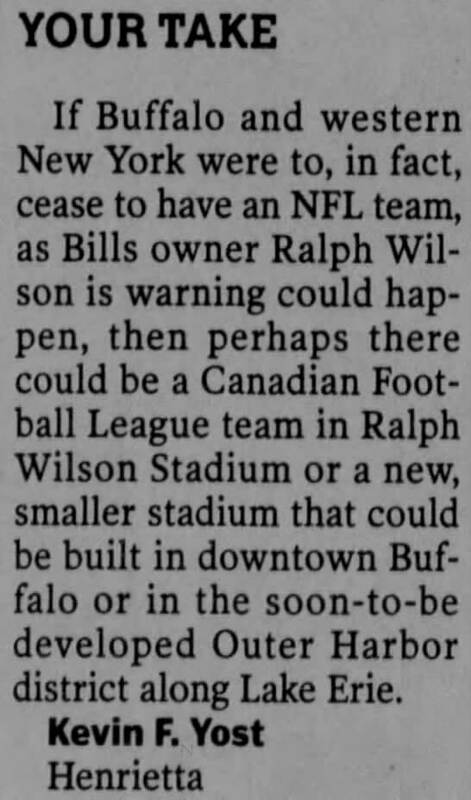 In 2006, letter writer Kevin Yost made a valid claim that if the Bills ever left western NY, the CFL could perhaps successfully expand to Buffalo (or maybe Rochester, I’d add). Or if the Bills ever moved to Toronto, the Argos could replace them in Buffalo. 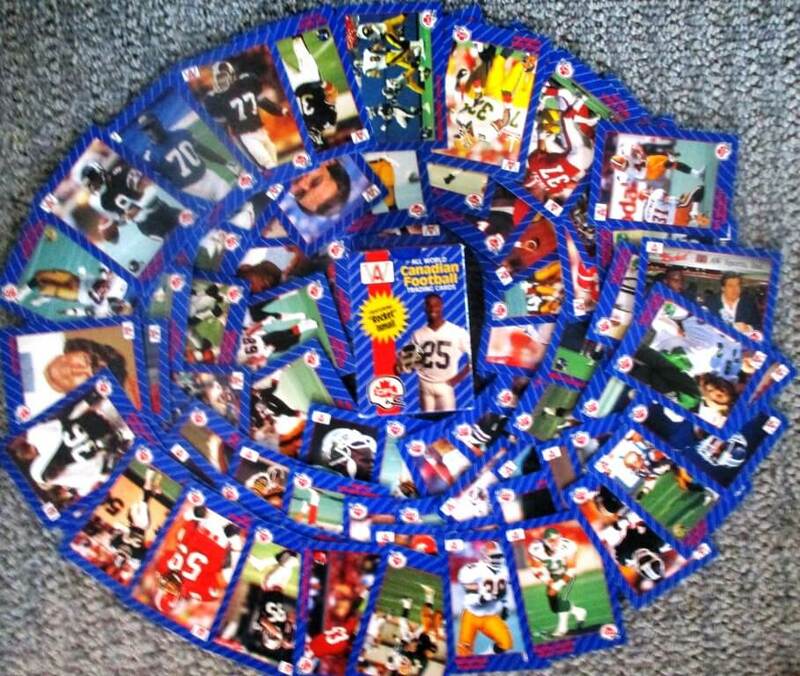 1991 All World Canadian Football Trading Cards purchased at Yankee Clipper in the Village Gate. Personally, I am not a big fan of the CFL’s style of play. Over the years, I have watched games on tv (and even listened on summer evenings to the Tiger Cats on the radio) hoping to prefer the Canadian style to that southern behemoth, the National Football League. Rooting for the CFL is a little like rooting for Finland against the Red Army during the winter war in 1940. Alas, for me, Marks’ reasons are reasons not to like to CFL. Because the CFL field is wider and longer and because teams have only three downs to make a first down, the game is primarily a passing game. The wider and longer field lends itself to “big play” scoring passes, often with breakaways after catches. Because short to medium runs are not often used, there are not sustained drives, instead teams shoot for the long score. The result is a higher scoring game than the NFL. But I am a football pursuit who generally prefers taut defensive struggles and powerful running games. The 4 downs of the NFL add more variety and strategy to play calling as teams move more slowly and methodically up the field. The narrower field also keeps scoring down, maybe 10 – 14 fewer points per game than the CFL. Also, Marks says an advantage to the CFL season is that it begins in late June or early July and ends around Thanksgiving. While its understandable why a Canadian League would want to avoid outdoor play during the worst parts of a northern winter, sitting from the vantage point of my tv, I would prefer watching those outdoor games in the most treacherous of conditions. Right now, there is not so much appeal for me to tune into a pass-happy, too-high scoring, minor league played indoors (if at the Rogers Center) on a summer day or evening. In keeping with its name — Canadian — maybe games should be played outdoors in the middle of winter in Saskatchewan. 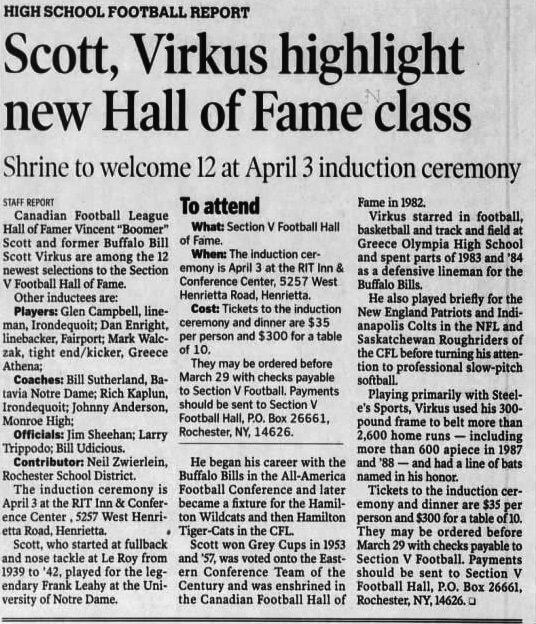 NOTE: the 2007 article on the Section V Hall of Fame selections of Vincent Scott mentions that fellow inductee Scott Virkus also played the Canadian Football League. In 250 years of calling you out, we saw the spot where Scott hit a softball over 500 feet. Invitation to Equal Grounds and more from Just Poet Bart White. And "Wait and Watch."